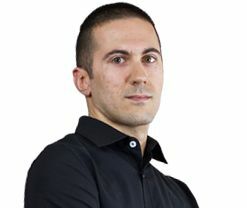 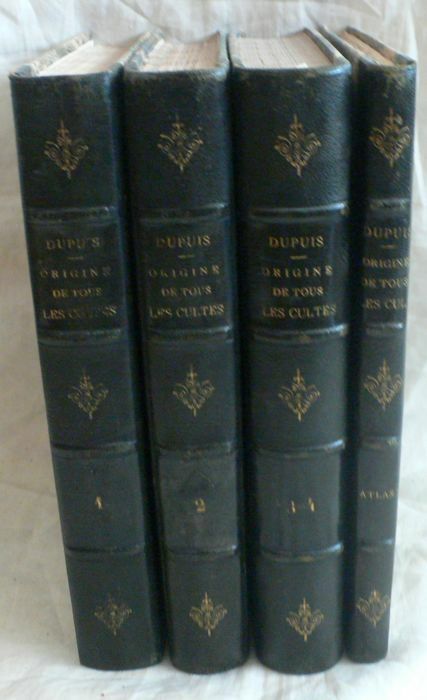 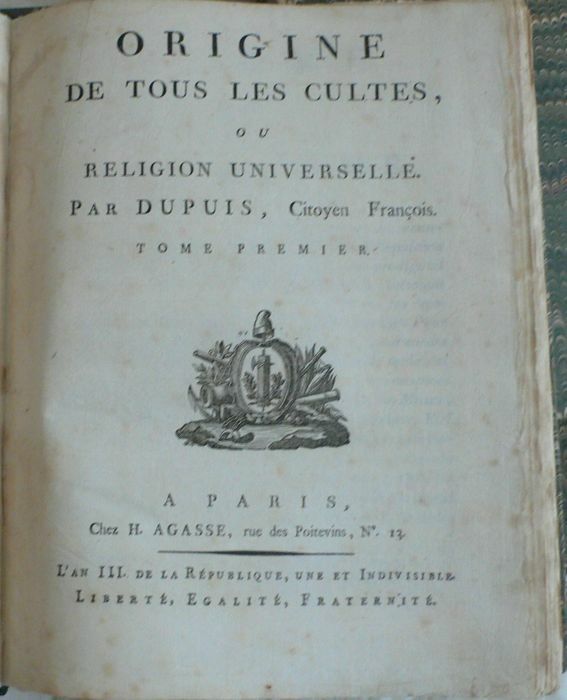 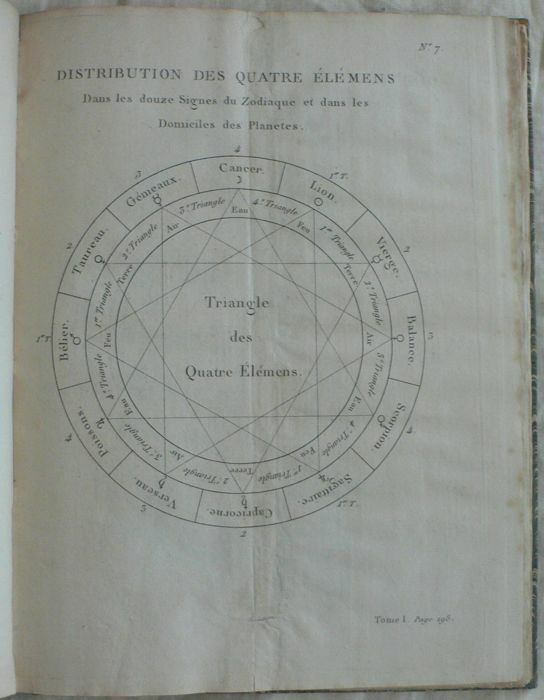 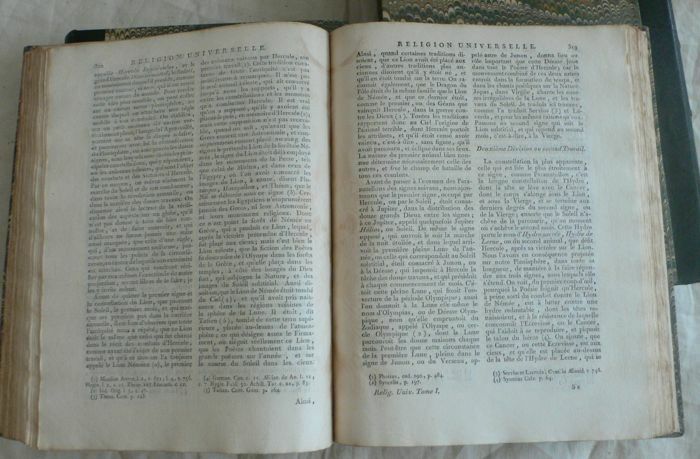 Charles François Dupuis - Origine de tous les cultes ou Religion Universelle. 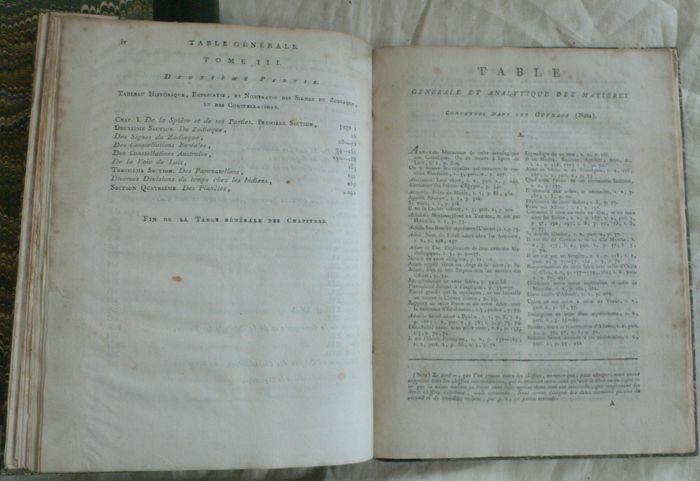 Paris, H. Agasse, 1795. 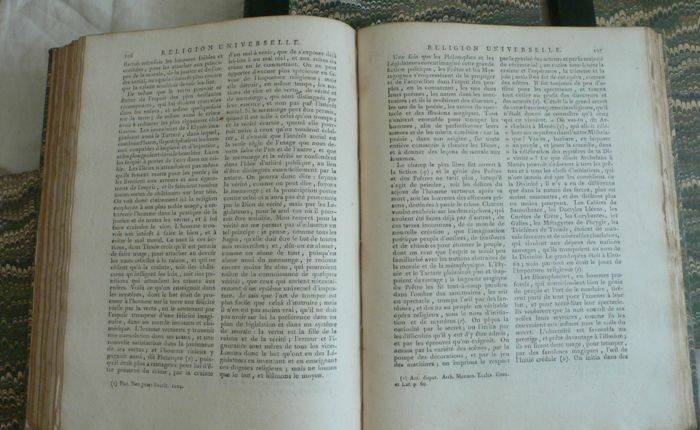 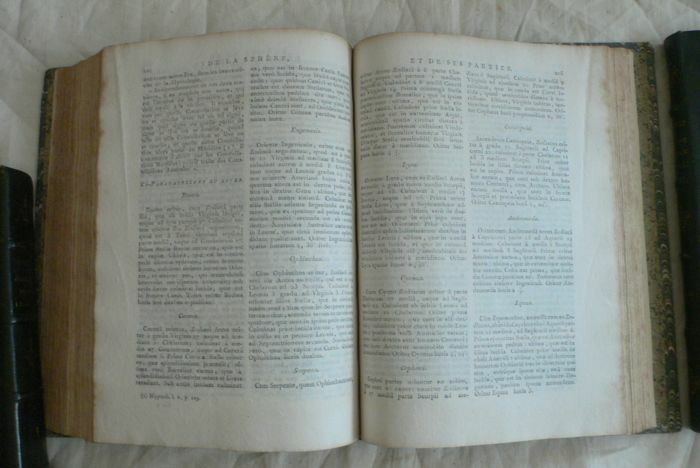 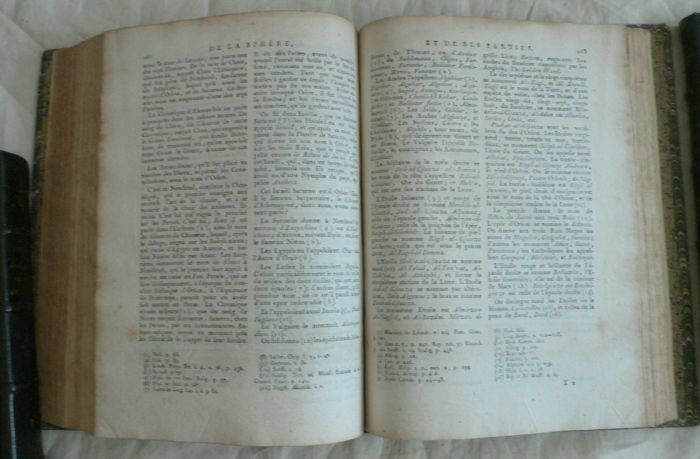 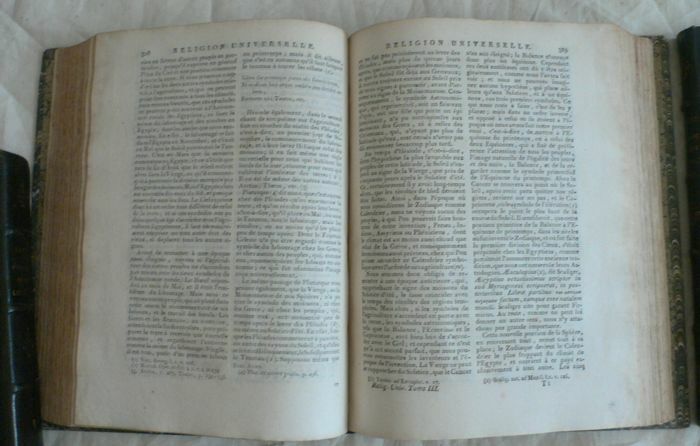 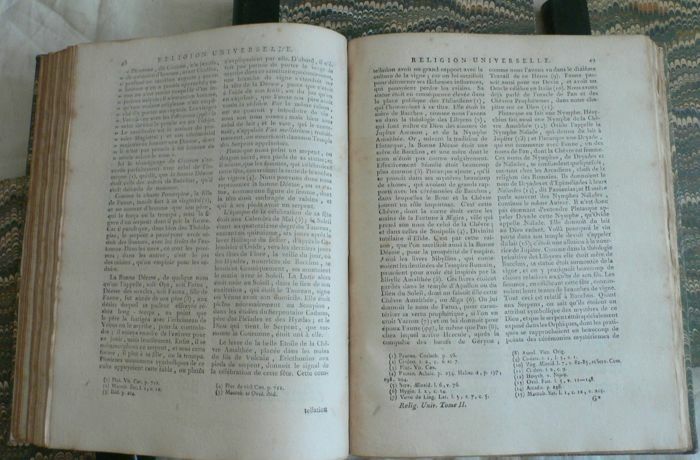 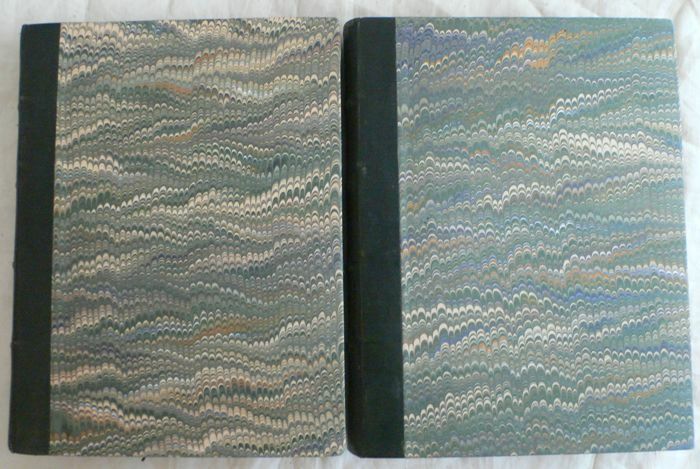 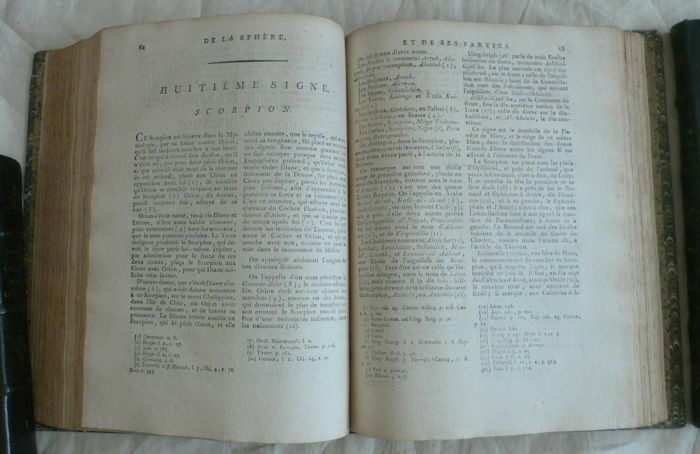 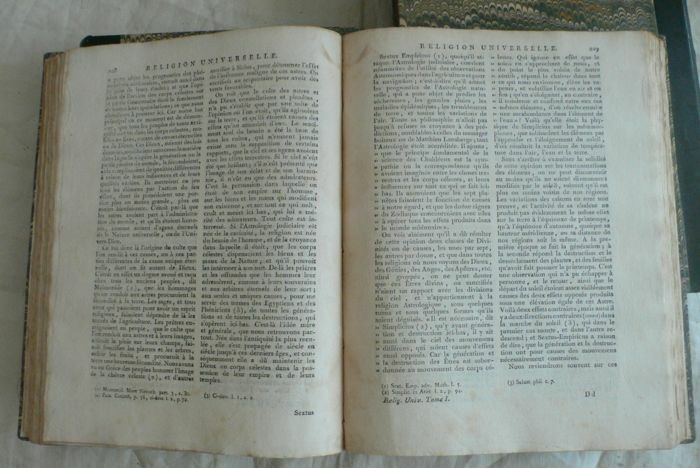 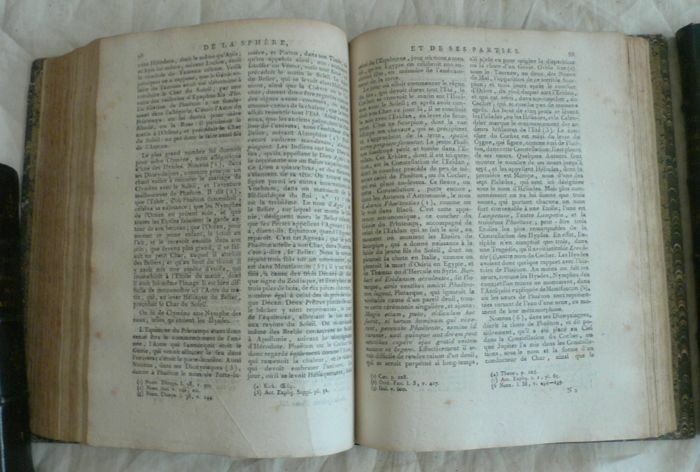 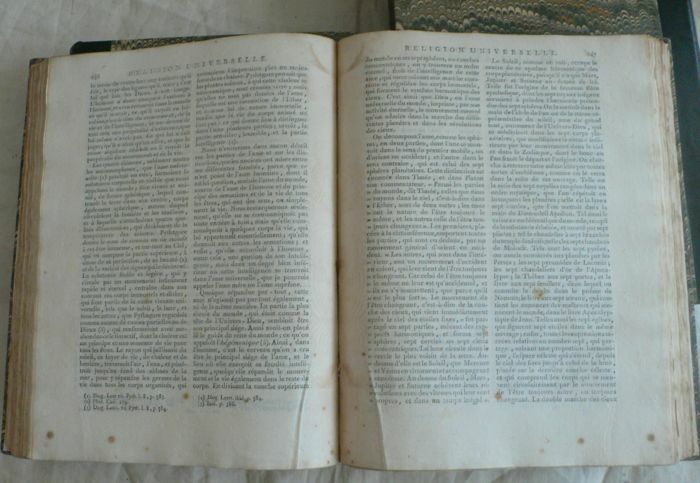 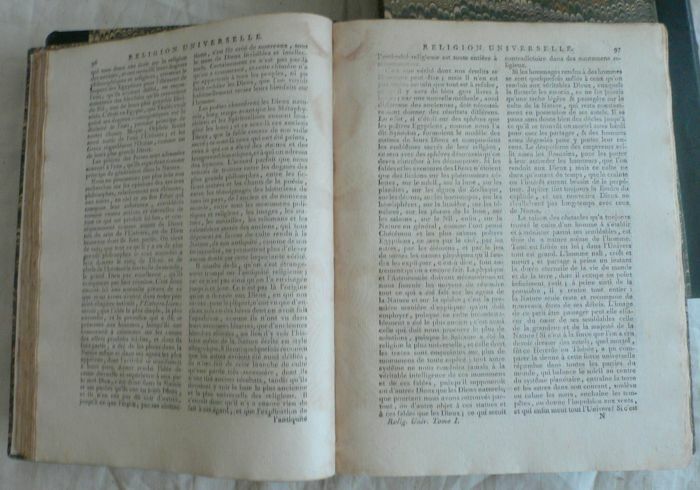 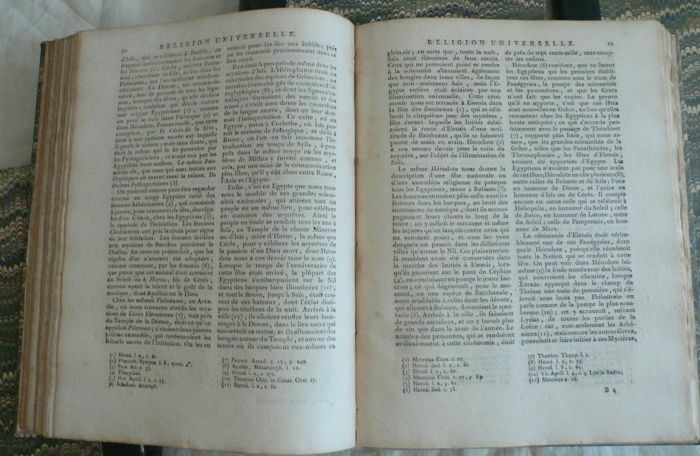 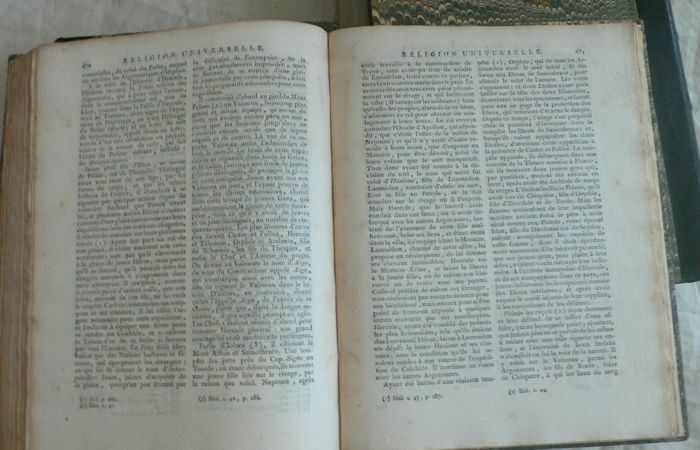 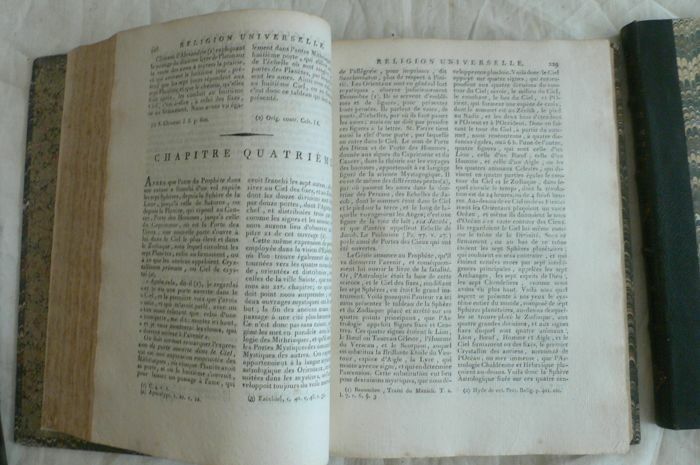 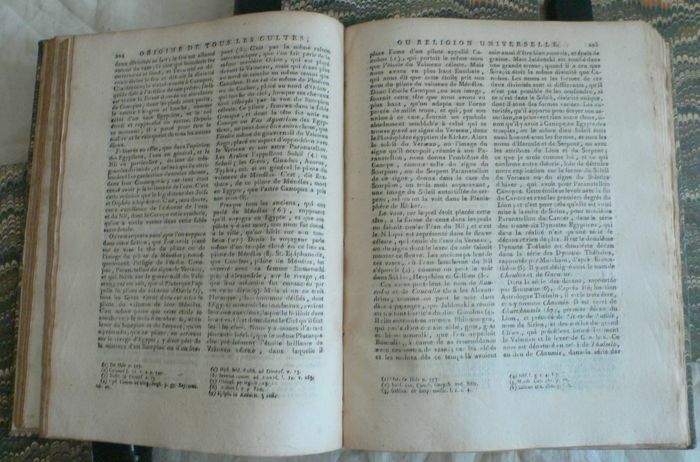 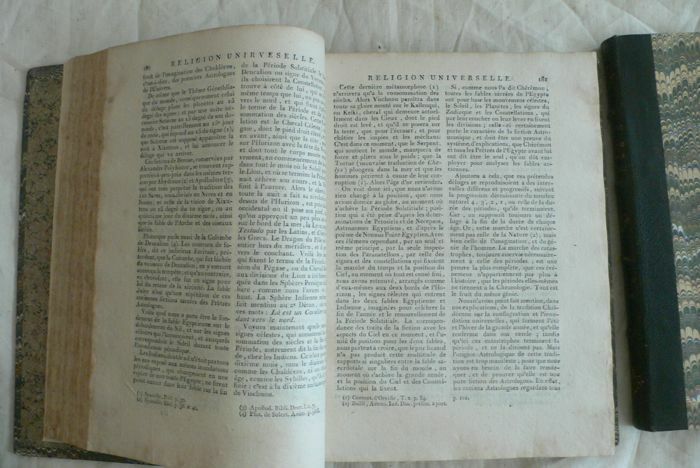 4 quarto volumes of XVI-556pp., 302pp. 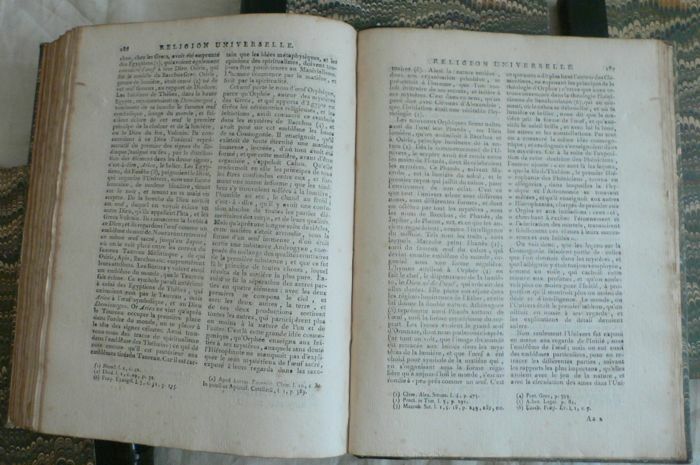 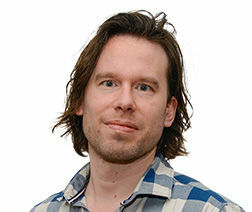 and 304pp., IV-367-358pp. 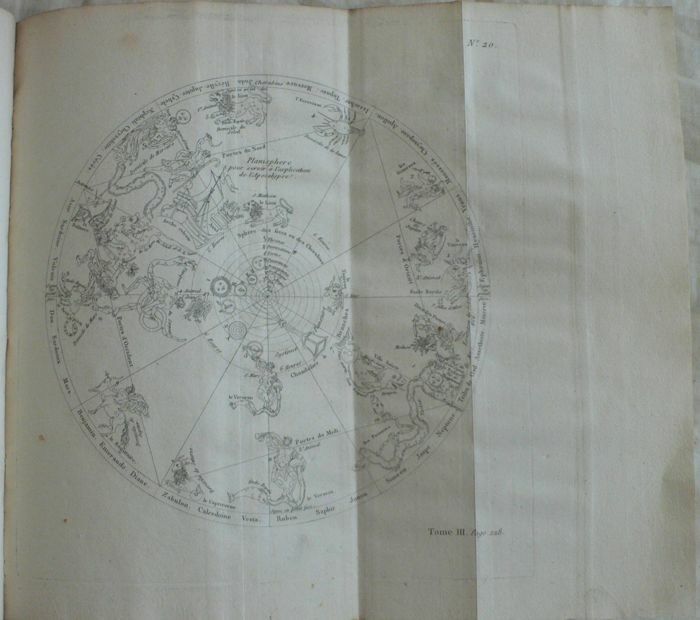 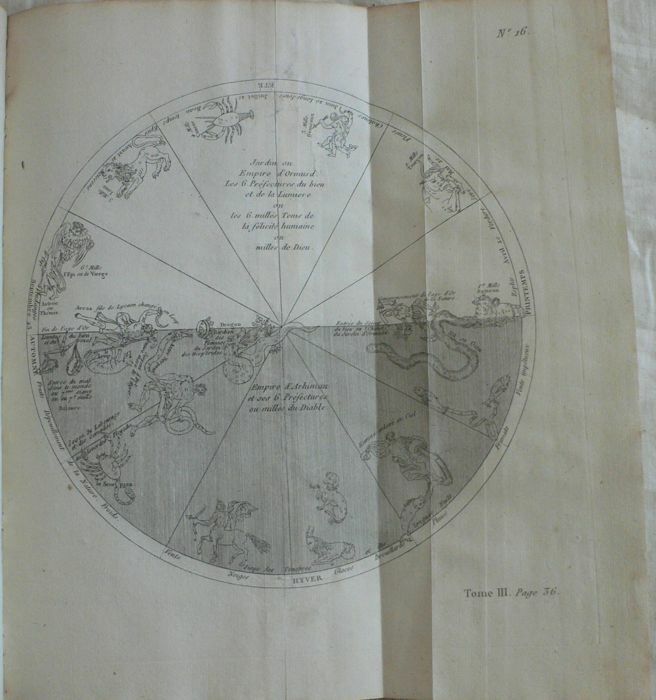 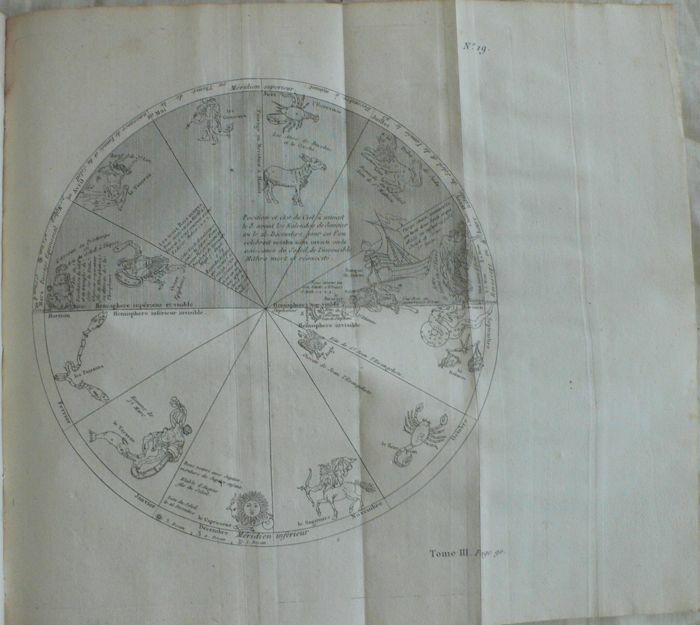 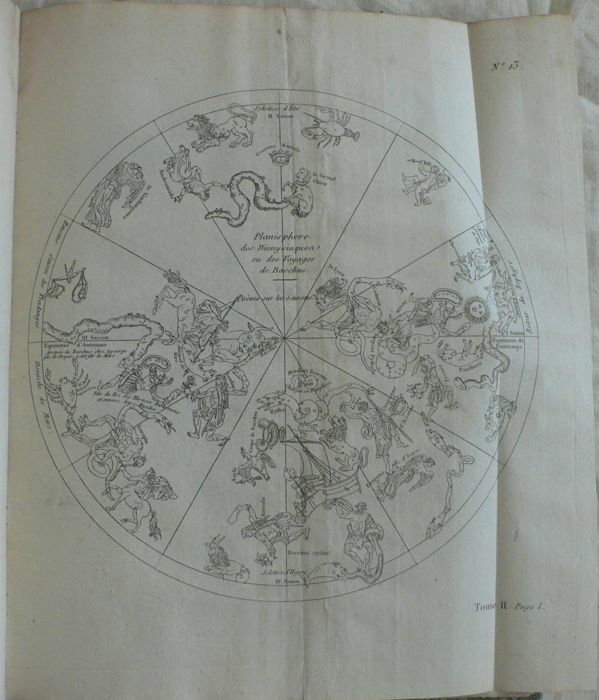 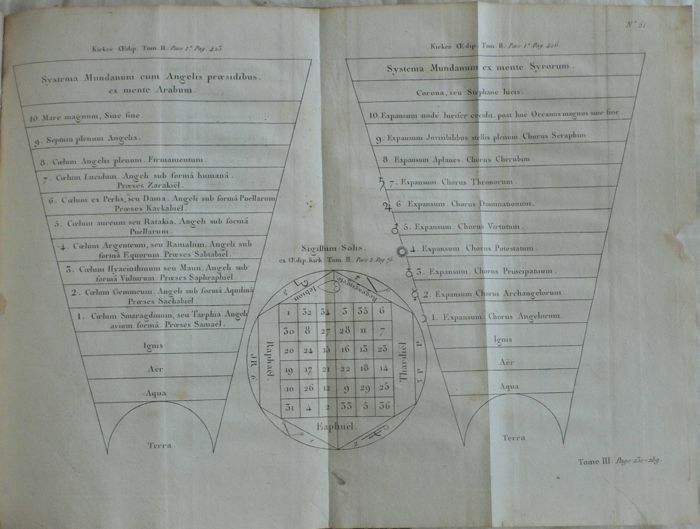 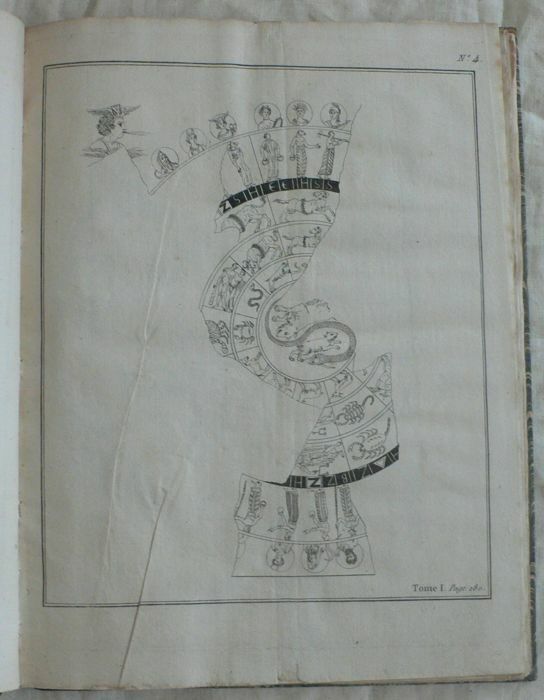 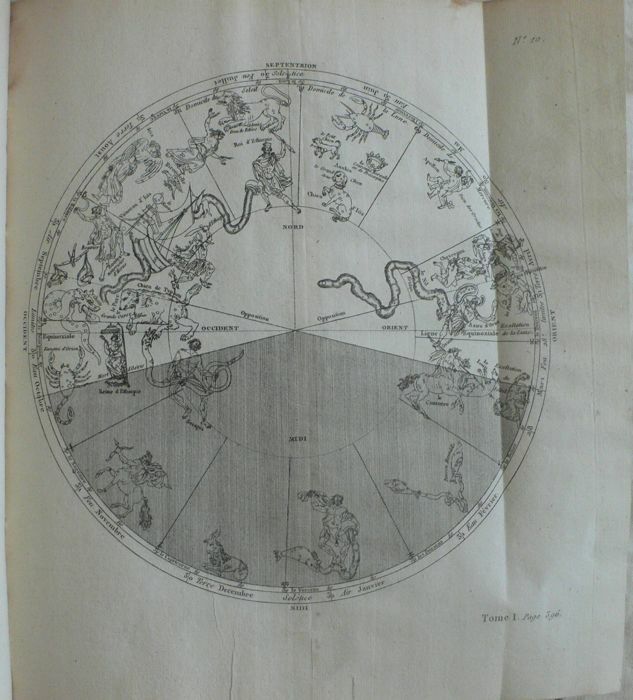 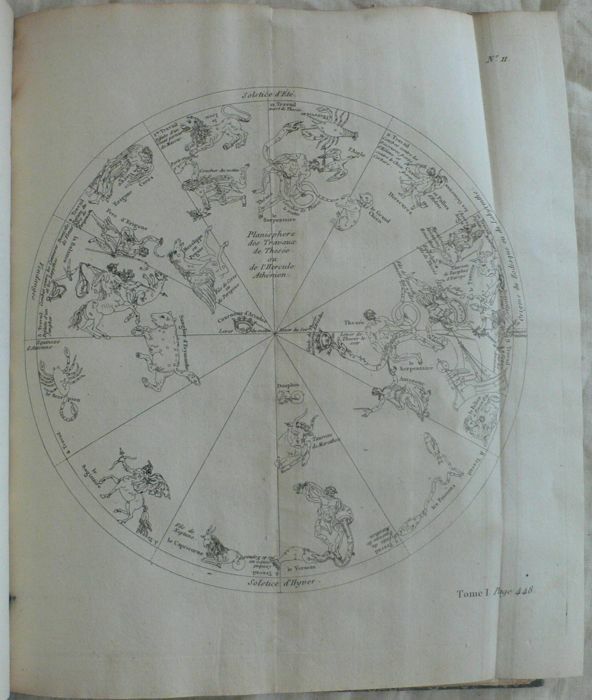 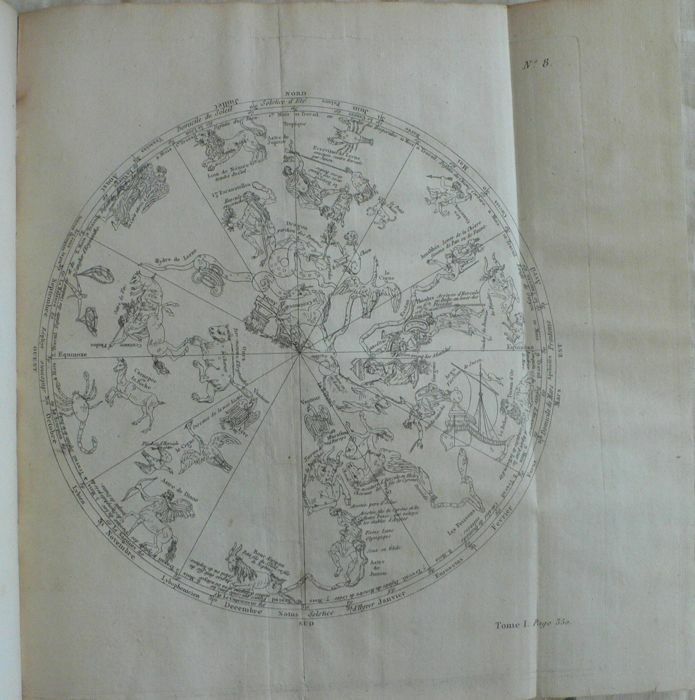 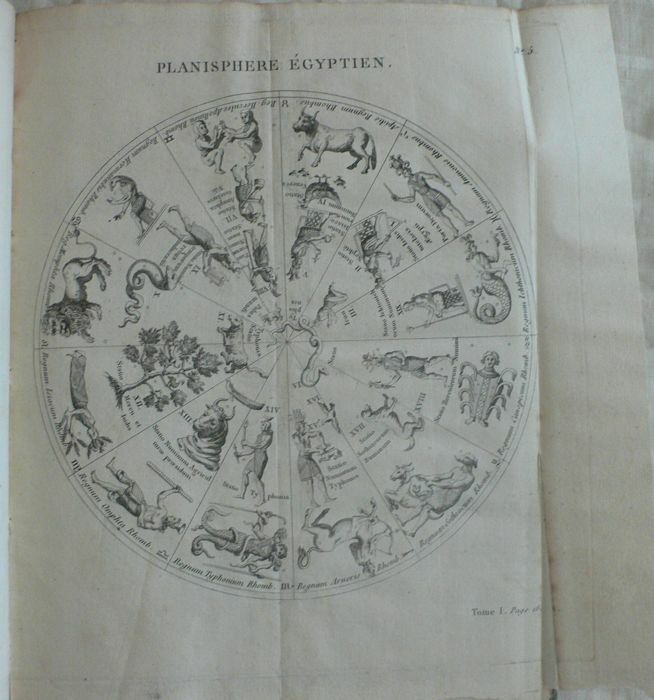 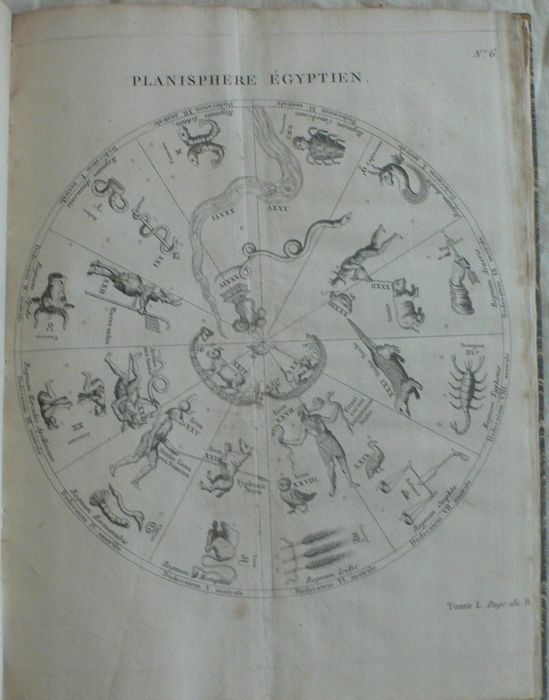 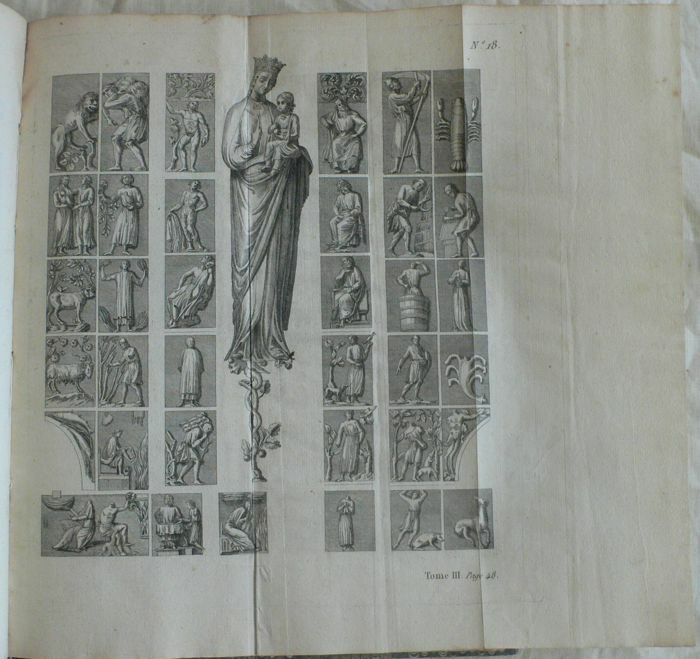 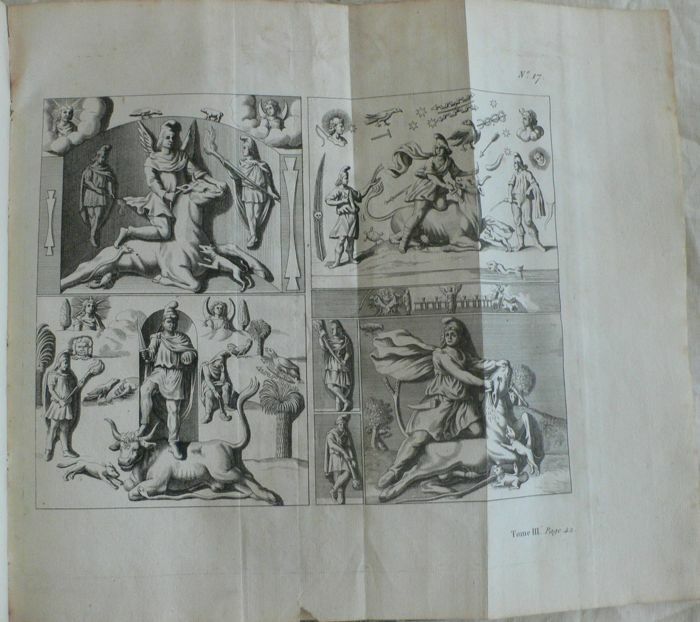 (with 3 folded tables), for the Atlas: a frontispiece, 16pp., 22 plates, IV-104pp. 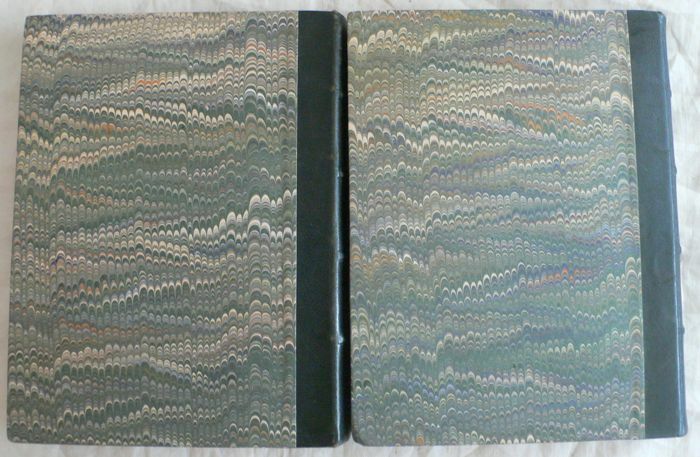 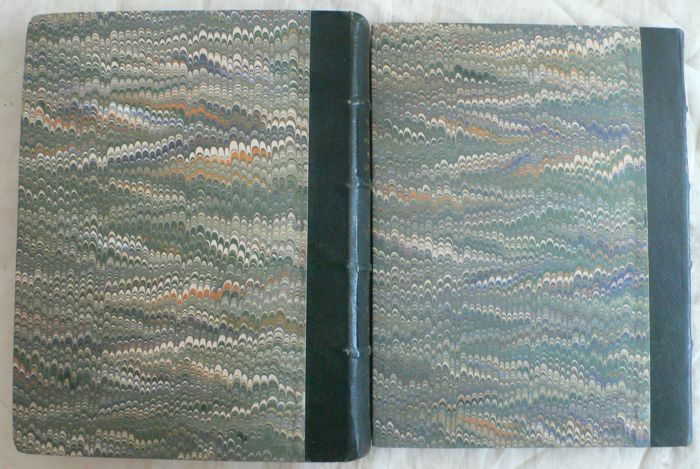 (analytical table), bindings in half green shagreen of the mid 19th century, spine with 5 adorned raised bands, end paper and paper on the covers restored (for each volume), restoration with Japan paper to several leaves including the title of volume II and the atlas, fresh inside, rare and sought-after in quarto format, nice copy. 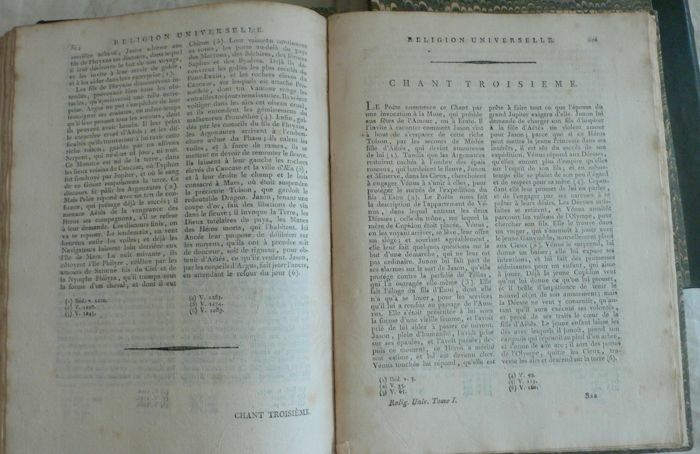 Work of the greatest importance for the study of religions and the primitive mythologies. 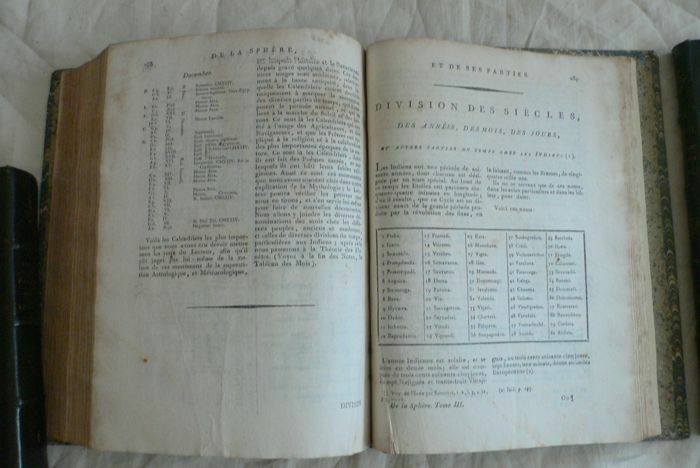 Charles-François Dupuis (1742-1809) was an archaeologist, friend of Lalande, he was called to the Paris bar in 1770. 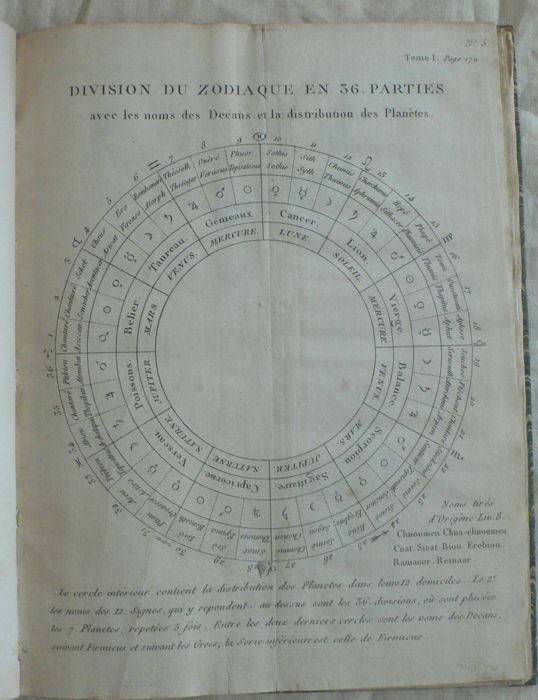 He was a member of the convention, Member of the Council of five hundred, Member of the Institute and participated in the creation of the Republican calendar. 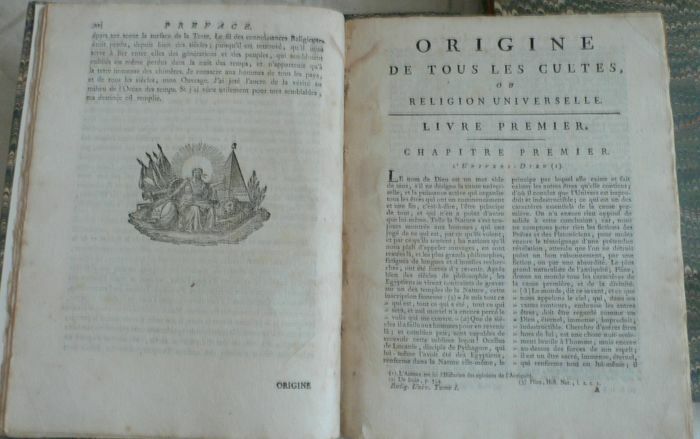 He proposed in his masterful work to explain the Greek religion and all the other religions of antiquity, to reveal the mysteries and puzzles at the origin of traditions underpinning the current world religions. 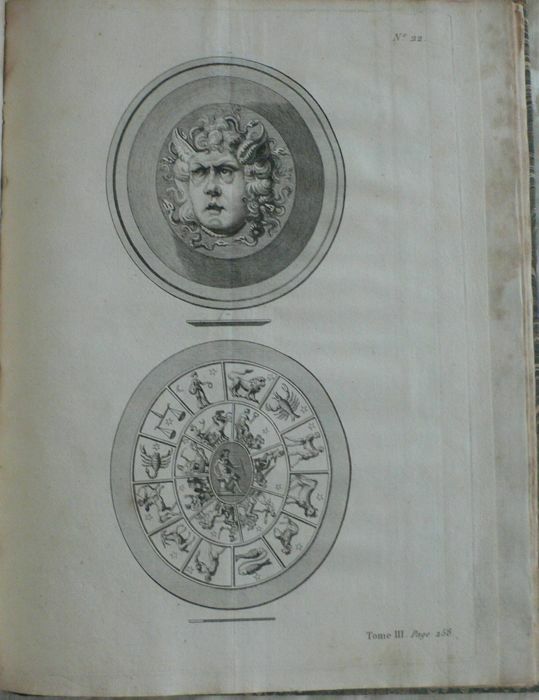 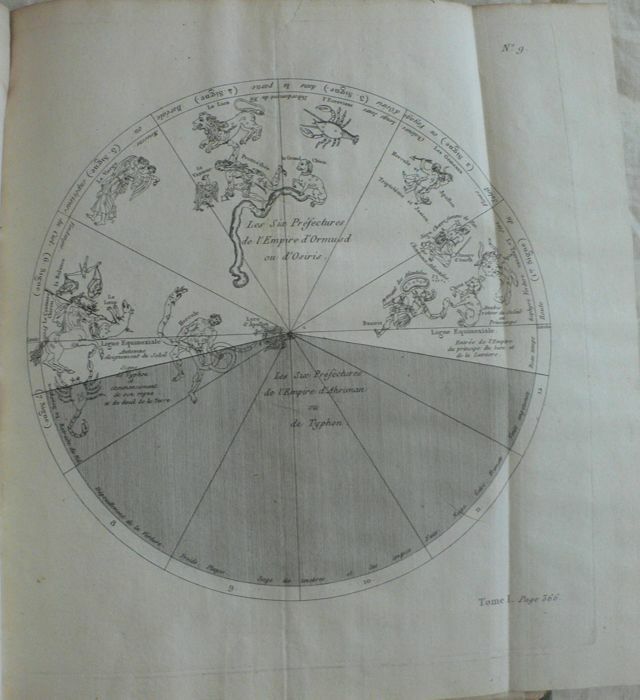 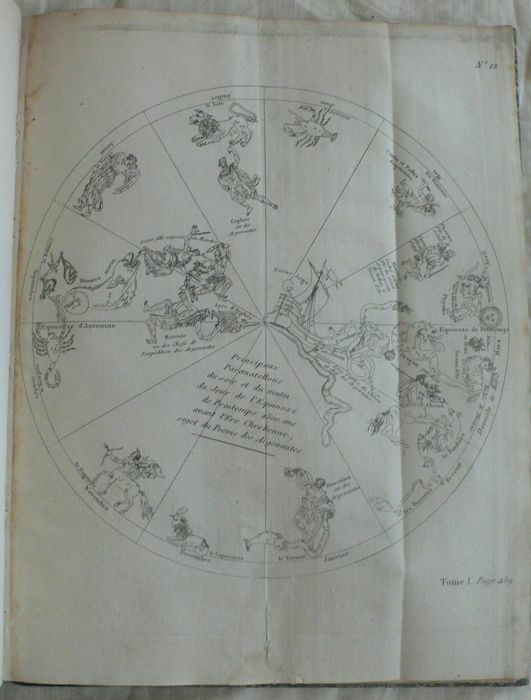 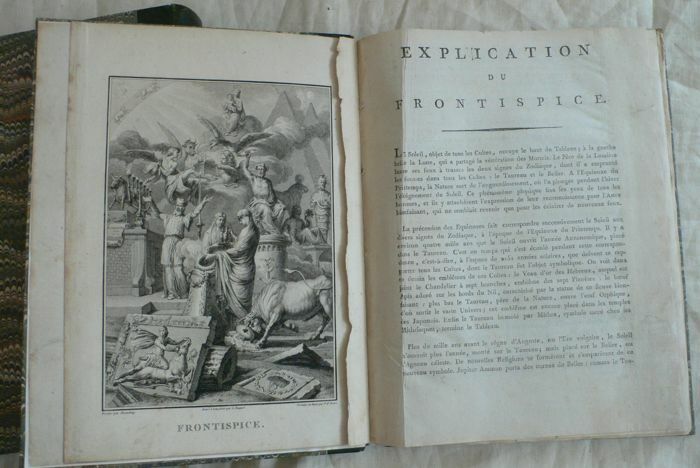 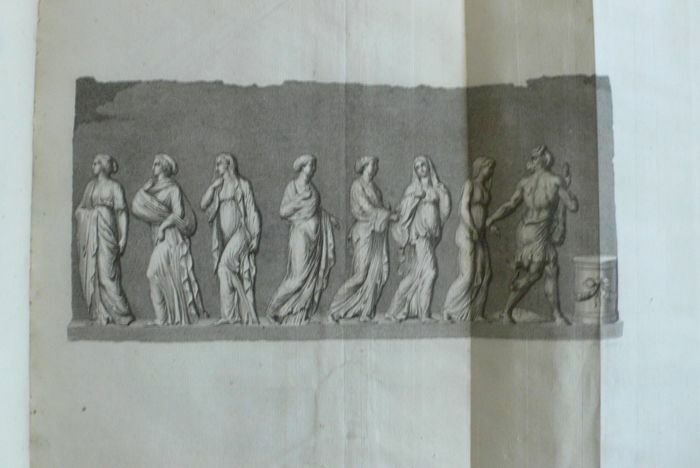 The atlas includes a drawn allegorical frontispiece by Ducoudray, etched by Pauquet and finished with the chisel by P.H. 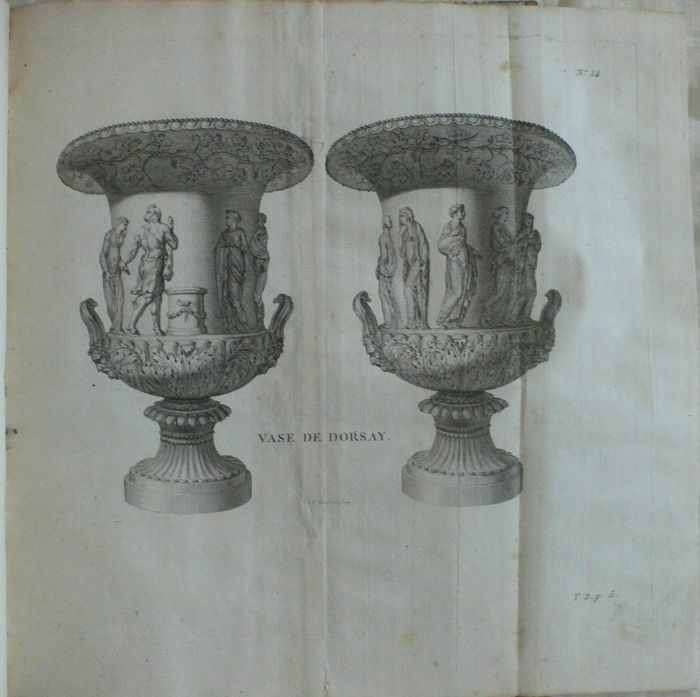 Trière and 22 intaglio plates by Trière, Tardieu and others. 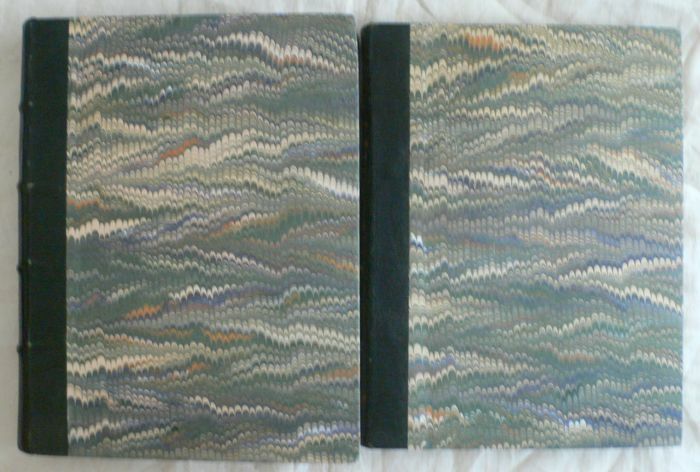 These plates are mainly folded.